Crayon Pop's Choa will be appearing in KBS' upcoming new drama 'High School - Love On'. On June 4, Chrome entertainment said "Choa is a student of Seoul Institute of the Arts and is really passionate about acting. Despite her hectic schedule, she has taken regular acting class to improve. As an actress, she will show something unusual about her." 'High School - Love On' is a drama about an angel who has become a human being after she tried to save a male student in danger. Actress Kim Seron plays the leading role. Choa stated, "I'm so excited because this is my first ever challenge for acting. Even though it is a minor role, I will do my best. I want to grow up steadily as an actress." 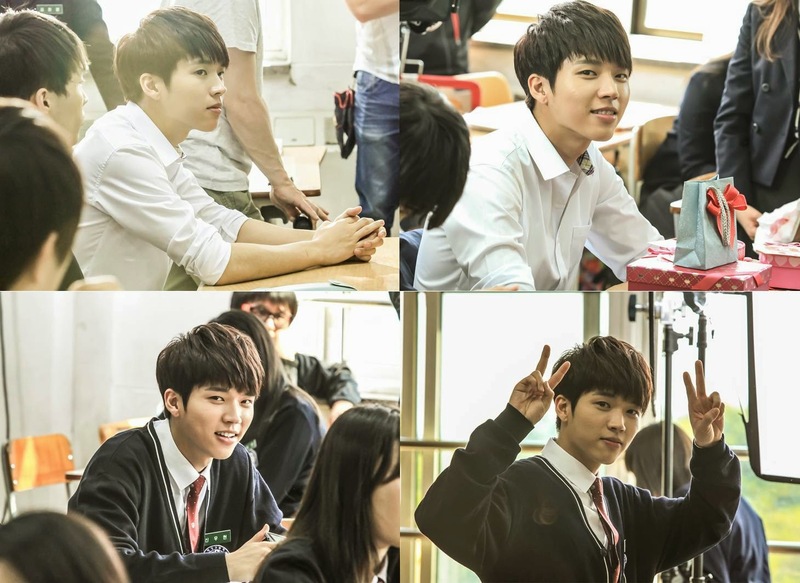 Infinite's Woohyun and Sungyeol were chosen to act the main roles in the drama. Check out Woohyun's picture below.